THE SCENE IS CHICAGO, 1920’S. THE WEDDING DINNER TO CELEBRATE THE NEWLY-WEDS IS MARRED BY THE DISCOVERY OF THE MAYOR’S MURDER. THERE ARE MANY ATTENDING THE DINNER… WHO, HOW AND WHY WAS THE MAYOR MURDERED? 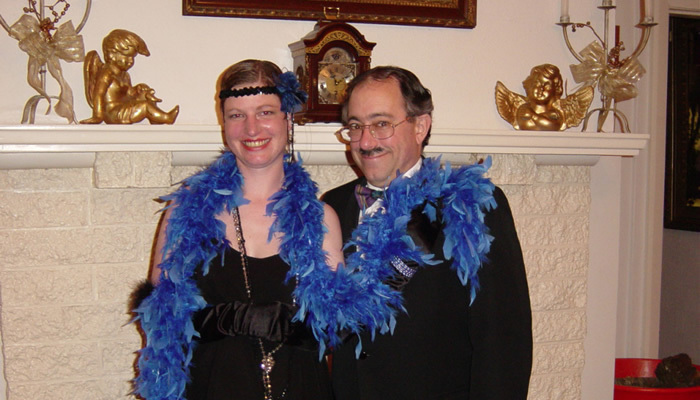 The Murder Mystery is great interactive entertainment for your private or corporate event, as a theme for that special conference dinner – also suitable for team-building. Can be set during a meal and has the flexibility to be played in one, two or three acts, as required. With its fun “fancy dress” theme, the Murder Mystery can entertain and involve from 12 to 100+ participants. Ten people from your group will be “murder suspects” who will act out scenes from a script I provide, several others will read out clues, then all there, as competing teams, will help solve the murder – and as there is no one “right” answer, we will appreciate all creative and outrageous solutions. Rick Sahar was awarded the 2011 Best Variety Artist award from his industry peers at Variety Artists NZ for his great entertainment – the equivalent of a local “Oscar” or “Emmy” Award!